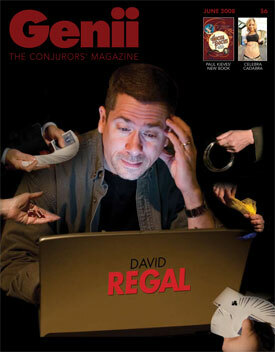 David Regal is a television writer and a creator of effects for magicians. His background is live comedy, as a member of the main company of Chicago City Limits. Since moving to the Los Angeles area he has served as head writer for Nickelodeon’s Rugrats, and has written for many sitcoms, including multiple episodes for Everybody Loves Raymond.In addition, magic effects of his design are performed around the world.